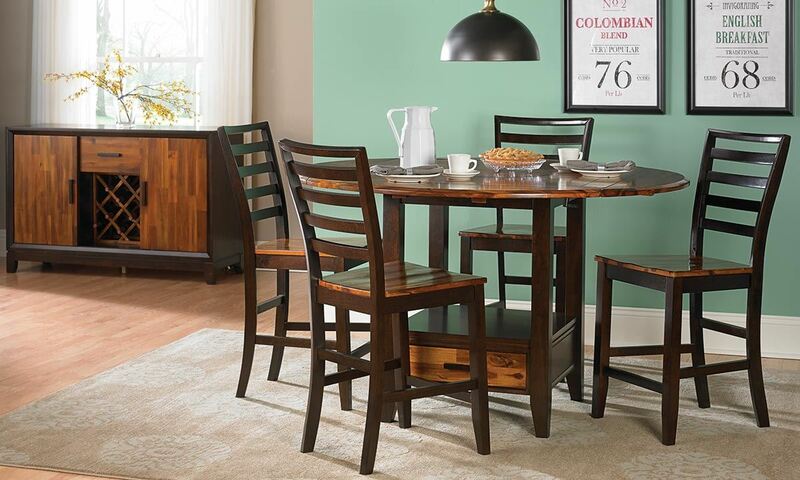 This counter height dining set from the Ombré collection is the perfect way to pack big style into a small space. The 42-inch square gathering table showcases beautifully matched acacia wood, as well as a small lazy Susan in the center. Need a little more space? 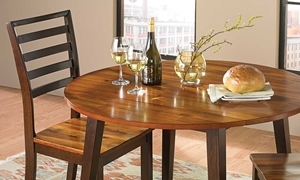 A 9-inch extension leaf on every side allows the table top to easily expand to a 60-inch circle. Below, a storage base with a single drawer offers even more functionality for this charming counter height group. Four ladder back chairs complete this dining set, each showcasing the same dark and light two-tone finish as the table.